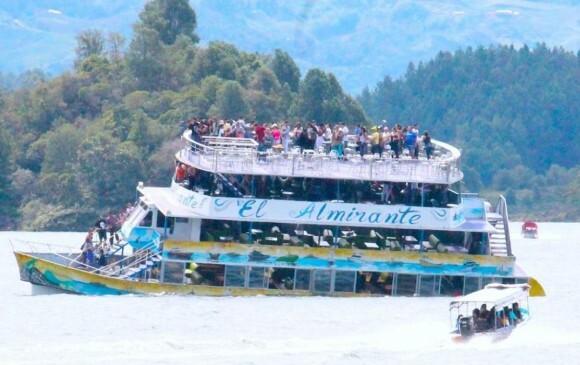 The multi-deck passenger ship El Almirante sank on the Peñol-Guatapé Reservoir near Guatapé, Antioquia, Colombia. 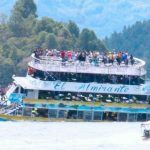 Just after the El Almirante departed from the pier between 130 to 170 passengers, there was a loud bang below decks right before the vessel began to sink. 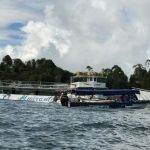 One account states the passengers were ordered to one side of the vessel then another before directing them to the forward section as the vessel sank. Passengers on the lower decks were ordered to break the glass and jump into the water. Another account states some passengers on the lower decks were blocked by other passengers on the higher decks. A survivor stated he had to wait until the vessel sank before he could reach safety of the upper decks. All accounts state the El Almirante sank in less than 15 minutes trapping multiple persons on the lower decks. 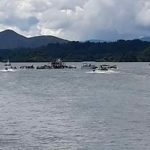 Several small boats nearby witnessed the sinking and rushed to the scene. Pulling people from the water, they saved nearly 100 people. 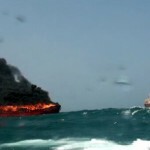 Initial reports state some 99 people had been rescued, but 9 persons had perished. Some 28 persons were reported missing while 24 had been taken to hospital due to injuries. 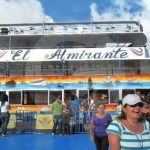 A report states that the El Almirante did not carry enough life preservers for all 170 passengers on board at the time of the incident. 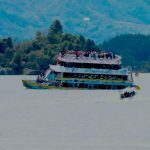 It concluded that several more passengers may have been saved as many had been able to escape the sinking vessel, but could not swim and drowned. Authorities have dispatched a group of divers to the scene to search the vessel for any missing persons. The cause of the water ingress is not yet known. 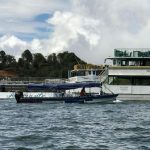 Reports state the vessel had been in two previous incidents, one near a place called Fantasy Island and another off Malecón. 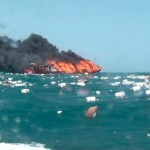 One survivor stated the vessel was overloaded and in poor condition. Authorities have launched an investigation into the incident. 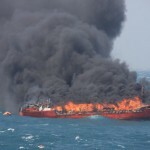 The 770 dwt freighter FM Express caught fire off Bocas de Ceniza, Colombia. 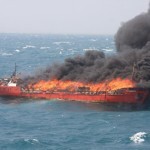 The fire started in the vessel’s engine room from an electrical short and quickly grew. 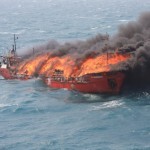 The crew were unable to control the blaze and requested assistance before abandoning ship into the vessel’s liferaft. The Columbian Coast Guard along with the freighter UBC Sacramento responded to the scene. The crew were rescued a short time later. 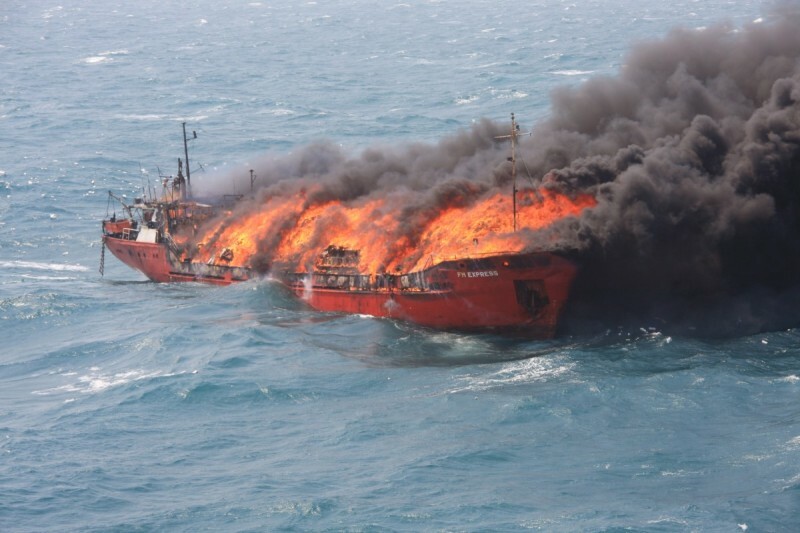 No reports of injuries to the 8 crewmen on board. 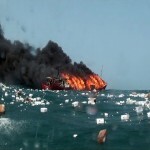 Reports state the vessel was carrying 300 tons of household goods from Colon, Panama to Puerto Nuevo, La Guajira.